Incorporated in 2001, Matrimony.com is the leading matchmaking service provider in India with a database of 3.08 million active profiles. Matrimony.com's Rs 500 crore IPO, which closed on September 13, was subscribed 4.44 times. Shares of India's biggest online matchmaker, Matrimony.com, which listed on exchanges today, fizzled out after initial gains. Its shares rose as much as 4 per cent to Rs 1,024, against issue price of Rs 985 before closing 8.5 per cent lower at Rs 901.20 against its issue price of Rs 985. Matrimony.com's Rs 500 crore IPO, which closed on September 13, was subscribed 4.44 times led by high demand from retail investors, whose portion was subscribed 18.16 times. The portion reserved for institutional buyers was subscribed 1.88 times, while the non-institutional segment saw subscription of 41 times. The company plans to spend the Rs 130 crore of fresh capital raised through this IPO for advertising and business promotion activities, purchase of land for construction of office premises in Chennai, repayment of overdraft facilities and for general corporate purposes. Incorporated in 2001, Matrimony.com is the leading matchmaking service provider in India with a database of 3.08 million active profiles. 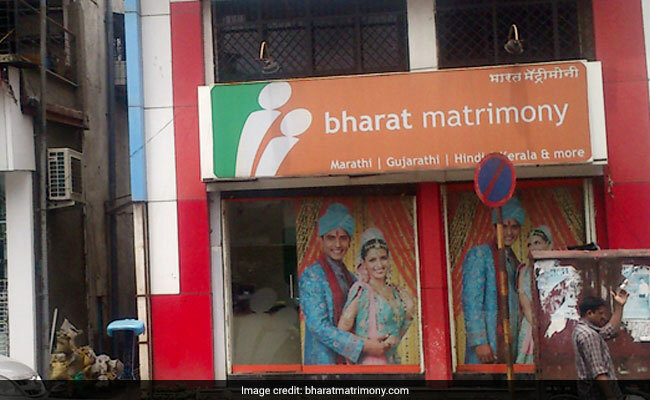 Its flagship brand, BharatMatrimony, has 15 language based domains under its umbrella. According to the comScore report for June 2017, Matrimony.com is the leader in online matchmaking services in India in terms of the average number of website pages viewed by unique visitors, time spent and total pages viewed, said Angel Broking in a report. "We are India's first pure-play consumer internet company to go for a listing," founder and Chief Executive Officer Murugavel Janakiraman said in an interview. "We provide an abundance of choice and thousands of matches to suit every criterion, all at the tap of a key." At the upper end of the price band, Matrimony.com shares are valued at 35.7 times its annualised June quarter earnings per shares. Last Day To Subscribe Matrimony.com IPO: Should You Invest?